Sewing Basics for Beginner’s Timetable. Click on the dates in the below drop down box to see all the courses we currently have scheduled. Scroll down to read full course details. Learn to sew from the very beginning as we take you through all the basics of sewing. You’ll get an understanding of the sewing machine, machine sewing techniques and start trouble shooting problems at the machine yourself. You’ll get to know what you want in a sewing machine if you haven’t yet purchased one. 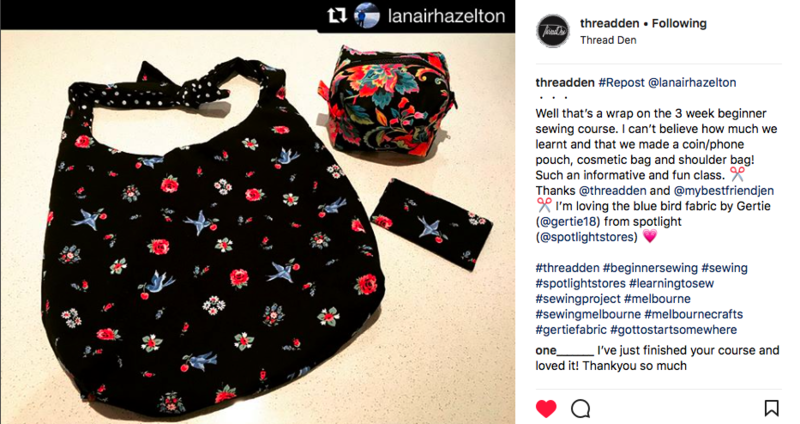 We’ll introduce you to terminology, tools, patterns, fabric selection, cutting technique and achieving professional results. Frequently Asked Questions about Sewing Basics for Beginners – click here. Run over 3 consecutive weeks in 3 hour weekly workshops. Each workshop runs same day and time each week. Detailed handouts at each weekly workshop. No need to bring a sewing machine or sewing kit. We have smooth running Janomes (supplied by Statewide Sewing Centres). Your confirmation email will include a list of supplies you’ll need, click here to view now.